While I do not see EconMatters as a movie critic like Roger Ebert, sometimes it feels almost like civil duty to let people know not to waste money on a bad movie. I missed the Start War VII when it opened during Christmas last year and at the same time endured a horrible experience with Fandango. In retrospect, I should have taken it as an omen not to see the movie at all. But since everyone was telling me how “awesome” the movie was, I finally made it to the theater last night. Compared to the previous installments, this Episode 7 was a major disappointment and it was the most excruciating 2.5 hours I’ve ever experienced in a movie theater. It was a bad movie compunded by an old and filthy movie theater (AMC Studio 30, located in the better part of Houston). The movie and the movie theater were so bad that I actually had the thought to short both Disney (NYSE:DIS) and AMC Entertainment (NYSE:AMC) stocks. When Disney bought Lucasfilm from George Lucas for $4 billion in 2012, it gave Disney ownership of the “Star Wars” franchise but also “Indiana Jones” franchise. Now, I can’t wait to see how bad Disney can mess up Indiana Jones. I like action, suspense, and thriller movies. Although I think the Twilight movie series is nothing more than a teen romance story wrapped in vampire myths and action (I am a fan of “The Underworld”, though), I do have certain appreciation and understanding of Twilight’s popularity — It has an interesting story line about the romance, marriage, family, etc. between a social misfit teenage girl and a vampire guy/boy (I think he is actually at least several hundred years old). Anyway, I still believe movies are about story telling and Star War VII has no story line to keep me remotely interested. The movie has a very simple plot: a bunch of people (heroes and villains) chase a secret map to find Luke Skywalker, the last Jedi, to help fight the new evil power–the First Order. While there’s nothing wrong with a simple plot, it is a cinematic crime to have such a poor screenplay without any substance like Star Wars VII. 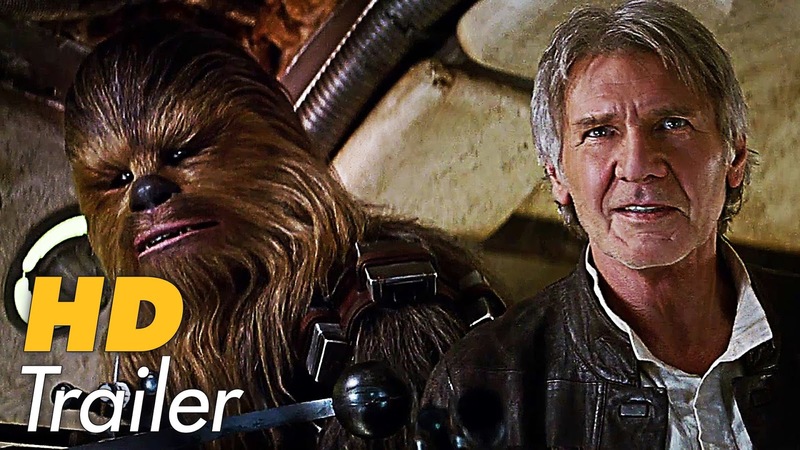 Reportedly Lucas had some ideas for how Star Wars VII story could be told. According to Lucas, “All I want to do is tell a story…”, but Disney was keen on “making something for the fans.” I now totally understand why Disney told George Lucas and his story to take a hike — Disney sees no use to spend time and effort to develop any story in an established franchise with built-in audience like Star Wars. Yes, I can see how all the galaxy air fighting and bombs away can put the simpleton Kardashian-following crowd in awe. However, the repetitive explosions, shooting and space fighting gets old real quick. The 135-minute movie is way too long with cliché after cliché, and predictable outcome. “Jurassic World” and “Avatar” are two deservingly awesome movies with good story, production and beautiful high tech graphic scenes to boot. Star Wars VII is not even in the same zip code as the similarly cliché Transformers franchise, in my opinion. Even the space air fighting scenes are not that impressive as I’ve seen better alien, space fighting scenes from any number of high tech movies adapted from the Marvel or DC Comics. In all fairness, I have to applaud Disney Studio’s Marketing Department for an outstanding job of promoting the movie a year in advance with a superb editing job on the promotional trailer. The trailer gives an impression of much more grandeur to build up hype, expectation and, in my opinion, directly led to the box office success. During a recent interview, George Lucas indicated he felt he sold the company he created, Lucasfilm, to “the white slavers,” referring to Disney (Lucas later issued an apology to Disney). Lucas also said he felt like he sold his children [for $4 Bn]. After watching the first Star Wars movie by Disney, I can understand how Lucas must have felt after Disney butchered his legendary creation — Star Wars. However, in this case, Lucas made his bed (and was well-compensated) on Star Wars and now he must lie in it. In 2015 it was always beneficial to buy silver when it was below $14 an ounce in the futures market. Are things going to be any different in the Silver Market for 2016? Do we get a breakout in either direction this year, or does it remain largely a dead market for long term price trends. 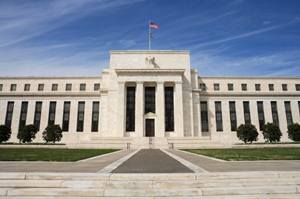 The Federal Reserve seems to have been caught off-guard by the recent turmoil on the markets. As the Chinese economic growth seems to be slowing down, all of the Western central banks need to re-think their plans, and the Federal Reserve will have to kneel in the dust. Whereas just a few weeks ago, the Fed ‘promised’ the markets it would increase the interest rates 4 times in just twelve months, the central bank is already reneging on its promise as it no longer thinks it will be able to do so without completely suffocating the economy. As we explained in a previous column, the use of some specific words when the original rate hike was announced indicated to us the Fed was actually anticipating the markets might not be ready for more rate hikes just yet. This has now been confirmed by Robert Kaplan, the president of the Dallas Fed. In one of the most recent statements of the Federal Reserve, the central bank has no longer used the word ‘balanced’ to describe the potential risks to the US economy, and Kaplan has now confirmed this was caused by the bank no longer willing to trust its own expectations and projections. The implications of this news, you ask? Well, they are huge. First of all it does indicate the American economy (and the world economy) is in a worse shape than one would have anticipated. The muscle-flexing of the Federal Reserve is now really blowing up in their own faces. This updated view was obviously also influenced by the Bank of Japan which has now introduced a NIRP. A Negative Interest Rate Policy. That’s absolutely unheard of for any central bank in a civilized country, and Japan seems to be desperate to try to get its economy going again, even though the interest rates have been low for the past few decades. As you can see on the previous image, Japan has had an interest rate close to zero for the past 20 years, and that hasn’t helped the country too much. That’s also one of the main reasons why we didn’t expect the zero interest rate policy of the Federal Reserve to be very helpful. Indeed, the market had lost its faith in the Federal Reserve earlier this year. Even though the central bank was still pretending it would be able to increase the interest rates by no less than four times in 2016, the yield on the 10 year treasury notes continued to fall (which would actually indicate the market participants were expecting the interest rate of the Federal Reserve to decrease rather than seeing it hiked). The new wording in the press release of the Federal Reserve as well as the sudden move by Bank of Japan has rattled the futures market of the 30 day funds rate, and it now looks like the market is right now assigning a possibility of just 80% to see just one rate hike (of 0.25%) this year. This basically means Mr Market has now given up on expecting the federal reserve to increase the interest rates this year. They tried but failed (miserably). Precious metals like silver and gold dulled under the Federal Reserve. When the Federal Reserve raised interest rates in December, silver prices took another hit. But after stocks got off to their worst start to the year ever, Janet Yellen failed to raise rates again in January. And silver bulls rejoiced. 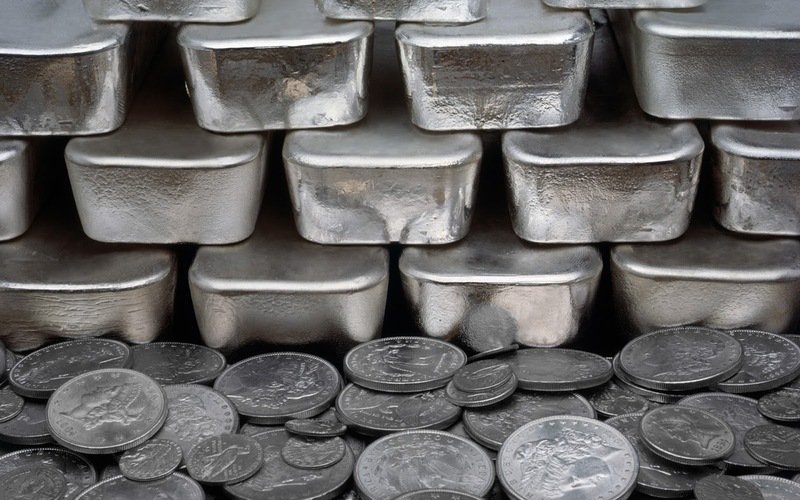 The absence of further rate increases should help propel silver prices higher throughout 2016. After four straight years of declines, silver prices are getting a much deserved boost from Janet Yellen. The post Janet Yellen Just Revealed a Big Reason to Be Bullish on Silver Prices appeared first on Profit Confidential. Mike Gleason, Director, Money Metals Exchange: It is my great privilege to welcome Steve Forbes, Editor-in-Chief of Forbes Magazine, CEO of Forbes, Inc. to our Money Metals Exchange podcast. Steve is also author of many fabulous books, including Flat Tax Revolution, How Capitalism Will Save Us, and his latest work, Reviving America: How Repealing Obamacare, Replacing the Tax Code and Reforming the Fed Will Restore Hope and Prosperity. He’s also a two-time Presidential candidate, having run in the Republican primaries in both 1996 and 2000. It’s a tremendous honor to have him with us today. Mr. Forbes, thank you so much for joining us and welcome. Mike Gleason: I want to start out by getting your take on the 2016 Presidential election cycle, especially given your first-hand experience in the whole process. We’re seeing an anti-Washington voter revolt of sorts… it’s the anti-establishment candidates that have been getting all the momentum. This is especially true on the Republican side, where we see an outsider like Donald Trump currently leading and guys like Ted Cruz, Ben Carson and others having garnered a lot of support. But also on the Democratic side we’re seeing admitted Socialist Bernie Sanders starting to overtake Hillary Clinton with his outsider bid. What’s driving this phenomenon, and is this a good thing or a bad thing? Steve Forbes: What it demonstrates is the intense, deep voter dissatisfaction with where the country is and fears about the future. There’s contempt for the political class for not being able to handle things. There’s the feeling that those who are in charge either don’t know what to do, or if they do they don’t know how to do it, so people are looking for outsiders for a fresh perspective. Just as in business where incumbents get too comfortable, you always find the entrepreneurial outsiders to challenge the status quo and upend things, and you’re seeing the same thing happening on the political side. So who knows if Trump will go all the way, how far Bernie Sanders will go, but it’s a way of (at least for now) voters expressing dissatisfaction, unhappiness, and saying we want positive change. You cannot continue doing what you’re doing. Mike Gleason: The issue of sound money has been getting more attention during the GOP debates than it has in several decades. It’s quite encouraging to us at Money Metals Exchange, as proponents of precious metals ownership, to hear Cruz, Paul, Carson, and even Trump bring up issues related to sound money such as reigning in the Federal Reserve, returning to some sort of a gold standard, and adoption of other measures to get America’s fiscal house back in order. I’m guessing you probably felt like a lone voice in the wilderness when you raised these subjects during your Presidential runs. So among the current candidates, who do you think best understands the problems created by our current monetary policy and might actually do something about it if elected President? Steve Forbes: I think it’s encouraging that a growing number are recognizing there is a problem. Even before you get to solutions you’ve got to recognize and acknowledge that the way things are being done is not working and that the Federal Reserve has been a huge factor in the sluggishness of the U.S. economy; very, very destructive actions they’ve taken. I was delighted that Ted Cruz in one of the debates brought up the idea of a gold standard. Rand Paul of course was suckled on the idea of safe and sound money. Ben Carson has made reference to it. Donald Trump has made noises about the Federal Reserve. I think that’s a good sign. One of the things that really most of the economics profession doesn’t seem to get is that money is simply a means for us to buy and sell with each other. It’s like a claim check. You go to a restaurant, check your coat, the claim check has no intrinsic value, but it’s a claim on the coat. Money is a claim on products and services. It has no intrinsic value. What it does, it’s like a claim check on products and services. It works best when it has a fixed value. Money measures value the way scales measure weight or clocks measure time or rulers measure space and length, and it works best when it’s stable. The best way to get stable money, as we explained in our book Reviving America, is precisely to link it to gold the way we did for a hundred and eighty years. It works. Gold is like a ruler. It has a stable value. When you see the price fluctuate, that means that it’s the dollar’s value that’s fluctuating, people’s feeling about it for the present and for the future. But gold is like Polaris. It’s the North Star. It’s fixed. Mike Gleason: That leads me right into my next question here. About a year ago you and Elizabeth Ames co-wrote the book titled Money: How the Destruction of the Dollar Threatens the Global Economy and What We Can Do About It. You proposed a modified gold standard… and I’ll quote here, and then I’d like to get your comments. What would be the main benefits of such a reform? And also I’m curious why you stopped short of calling for an end to the Fed all together and a return to true free markets when it comes to gold and the rate of interest? Steve Forbes: In terms of the role of the Federal Reserve, I think you’ve got to take one step at a time. One of the fears is that if you didn’t have the Fed you get a panic, which happens for whatever reason every few years, the thing would spin out of control. I think the key thing now is to get the dollar fixed in value, which we propose in that book, whether it’s a thousand dollars an ounce or eleven hundred dollars an ounce. I think the best way to understand this is to imagine what would happen if the Federal Reserve was in charge of the time bureau, and the Fed decides to float the clock, sixty minutes to an hour one day, thirty-five minutes the day after, ninety minutes the day after that. Everyone would know that if you had a fluctuating clock, if your timepieces couldn’t keep accurate time, life would be chaotic. The same is true of money when it has a floating value. If you had the floating clock, imagine baking a cake. It says bake the batter thirty minutes. Is that inflation adjusted minutes, nominal minutes, a New York minute, a Mexican minute? Gold is the best way to fix that value. The only role for the Fed, at least for now, would be to keep that fixed value and then deal decisively with the occasional panic, just as the British showed us a hundred and fifty years ago. If you have a panic where banks need the temporary liquidity, they go to the Fed with their collateral, borrow the money at above market interest rate, and then, as the crisis recedes, they quickly pay it back and it’s done. So the Fed’s role could almost be done by summer interns if they knew what they were doing, so it would not be the monster that it is today where the Fed tries to dictate where credit goes, what happens to the economy, etc. It’s really bizarre and destructive. Mike Gleason: They certainly have a whole lot of control and a lot of people have a lot of interest in Fed policy, way too much for our liking, and I’m sure yours as well. Steve Forbes: One other example on that is Janet Yellen, the head of the Federal Reserve, says that we should have two percent inflation, which in her mind is seeing the prices rising two percent a year. If you take a typical American family making fifty thousand bucks a year, that means their costs would go up a thousand dollars a year, two percent of fifty thousand. Who gave her the authority to raise the cost of living, which is an effective tax, a thousand dollars on a typical American family? Yet Congress, they just nod their heads. It’s a travesty. Mike Gleason: I’ve always wondered if two percent is good, isn’t three percent better? What about four percent? It seems like it could just go on and on and get higher and higher. Steve Forbes: Yep, which is what happens. An unstable dollar, whether it’s weak or strong, is like a timepiece, a watch that is too slow or too fast. Neither one is going to help you. Steve Forbes: Well, when you get a big change in the stock market it’s usually because of a surprise. People talk about oil, people talk about China, the pressure on earnings, those things are already known. It’s the unknowns that hit you. I think one of the things that has hit the markets – and they can’t be able to know the exact consequences – is precisely what’s happening in our politics. The idea of Bernie Sanders winning is still remote, but now you can’t rule out the possibility. What does Donald Trump want to do about trade? Well he’s been all over the map, to be blunt about that. He says he’ll negotiate it, but with that kind of uncertainty, people stay on the sidelines. Mike Gleason: Looking at the current economic landscape and the debt-based dominated markets that we have now, the situation appears to have only worsened since the ’08 financial crisis, how do you envision this playing out? Are we looking at some kind of economic collapse again or will the Fed and the central planners be able to keep the wheels on this thing? Steve Forbes: Those words “central planners” get to the very problem with the Fed. The idea that the economy is a machine is a preposterous one. The economy is individuals. The idea that you can control people the way you can modulate an automobile is… that’s how you get tyranny. That’s why in the third part of our book, Reviving America, we talk about Soviet style behavior by the Federal Reserve and by economic policymakers. When you look at the great disasters of the past – like the Great Depression, the terrible inflation of the 1970s, what happened to us in the panic in 2008-2009 – all of those had at their roots disastrous government policy errors. Mike Gleason: I want to talk to you about the role that gold, and to some extent silver, can play into all of this. In your book you’ve written about gold and its role in an investor’s portfolio, but we shouldn’t necessarily look at it as an “investment.” Talk about that and then also whether you view gold ownership as more or less important now versus say ten, twenty, or thirty years ago. Steve Forbes: In terms of gold, unless you’re a jeweler, I see it as an insurance policy. It doesn’t build new factories or things like that, new software. What it is, is insurance that if things really go wrong you’ve got something that will balance your portfolio. So whether it’s five percent, ten percent, it shouldn’t be dominating your portfolio. But since you cannot trust this right now, what politicians do, what you have working out here is a situation where yes, the price of gold has come down since 2011 when it looked like the U.S. Government might default, but today in this kind of environment, is probably a good time. Not that you’re going to make quick money on it, but it’s like an insurance policy. You hope it doesn’t have to be used, but if it does you’ve got it. Mike Gleason: We talked about how anti-establishment forces are starting to get some momentum. Do you see any real change coming about in our monetary system without some kind of crisis event forcing it? Generally it seems like things don’t change unless they’re forced. What do you think, is now maybe the time in Washington for some of these politicians to seize on the fact that a lot of Americans are very frustrated and maybe there is the ability to get some traction with some of these radical reforms and getting us back to sound money? Zero interest rates sounds great, like price controls sound great. You’re in an apartment; you only pay ten dollars a month, boy, that sounds great if you don’t mind having no maintenance. But when you suppress prices you distort the marketplace, deform the marketplace, people don’t invest, and you get stagnation. If the Federal Reserve announced that it was going to put price controls on Big Macs at McDonald’s and what you pay for a rental car and things like that, people would say that’s outrageous. And the Fed would say we want to suppress prices to stimulate the economy so you have more money to spend. We know it just wrecked the economy. Mike Gleason: We’re talking here in advance of the January Fed meeting. By the time this interview will air that decision will be known. But just more generally speaking, where do you see Fed policy going here? Are they truly stuck between a rock and a hard place? What do you think their policies are going to be as we go throughout the year? Steve Forbes: They’ll be tempted to stop allowing the market interest rates in the name of saving the economy, which is like taking an anemic patient, a patient suffering from anemia, and bleeding them. With the Fed the “rock and a hard place” (idea) is only in their minds. What they should do is just step aside, let borrowers and lenders determine what interest rates should be, and let the markets function again instead of trying to control them like commissars in the old Soviet Union. Free markets always work when you let them, but the Fed has to be pushed on that. Mike Gleason: As we begin to close here, what do you think it’s going to take for gold and silver to become a mainstream asset class again? For example, will it be China or Russia backing its currency with precious metals because the devaluation has gone too far too fast? Something like that? What are your thoughts there as we wrap up? Steve Forbes: Well I think if they see precious metals for what their historic role has been, we have gold-based, gold-backed money today. Remember, gold is a ruler. Because it’s got that fixed value, it makes sure that the politicians don’t muck around with the integrity of the U.S. dollar. We had a gold standard from the 1790s right through the 1970s, a hundred and eighty years, and it worked very well. We had the most phenomenal growth of any country in the history of the world. Since then we’ve had more financial crises, more dangerous banking crises, lower economic growth, and we see the stagnation that we have today. So maybe the Russians will get it, maybe the Chinese will get it, but the reason we have this book Reviving America, is to help activist citizens have the tools they need to push and get integrity back to the U.S. dollar, get rid of this horrific tax code, and get patients in charge of healthcare again. We do those things and you’ll see the American economy will roar off like a rocket. You should have your gold as that insurance policy and life will be good again. Mike Gleason: Mr. Forbes, I can’t thank you enough for your fantastic insights and for being so generous with your time. I very much enjoyed reading your latest book in advance of this interview. You give the reader a great explanation of the history behind all of this, and then also more importantly some practical things that they can do to protect themselves, and we certain urge everyone to check that out. It was great speaking with you today and we wish you and your family and your team there at Forbes and Forbes.com all the best. Thank you so much, and thank you for your continued efforts to spread the ideals of free market and liberty. It’s been a real pleasure to talk with you. Steve Forbes: Great pleasure to talk with you. Don’t lose faith. Markets are people, and people thrive most when they are free. Mike Gleason: Excellent way to end. That’ll do it for this week. Thanks again to Steve Forbes, CEO of Forbes, Inc, Editor-in-Chief of Forbes Magazine, and best-selling author, including his latest work, Reviving America: How Repealing Obamacare, Replacing the Tax Code and Reforming the Fed Will Restore Hope and Prosperity. You can obtain a copy of your own at Amazon.com, download it onto your Kindle or iPad, or purchase it at other places where books are sold. And don’t forget to check back here next Friday for our next Weekly Market Wrap Podcast. Until then, this has been Mike Gleason with Money Metals Exchange, thanks for listening and have a great weekend everybody. Crude oil prices have dropped from about $106 in June of 2014 to briefly under $30 in January of 2016 – down about 74% peak to trough. This appears to be an on-going disaster for oil companies, the banks who loaned money to frackers, oil exporting countries, global stock markets and others. Conventional wisdom suggests that crude oil prices will stay low for a long time because of low demand (global recession), huge supply (Iran, fracking, etc. ), decline in commodity prices globally, and at least ten more reasons. But crude oil prices have crashed before and then rallied. Examine the following chart and the 4 step sequences shown. There have been several substantial rallies from deeply oversold conditions over the past 30 years. At each of those lows I think there were many good reasons why crude oil had crashed and would stay low for years — just like now. And yet crude oil prices rallied, in spite of those many good reasons. What about Cycles in Crude Oil Prices? Note that in the graph above the #2 bottoms have been circled with green ovals. Examine the next graph with the 88 month cycle lows shown with green ovals. The bars are compressed slightly more but the #2 bottoms are the same. There have been six important crude oil bottoms in the last 30 years. Five of those six important lows occurred close to the 88 month cycle bottoms indicated by green ovals and purple vertical lines. The low in 1998 was mid-cycle. The green ovals and vertical lines as drawn indicate a crude oil price low is due about now. Given that the cycle is 88 months long – more or less – that probably means the low is due in anytime in 2016Q1 or 2016Q2, and perhaps it has already occurred. What could cause a bottom to occur now and crude oil to rally or fall further from here? Well, there are many possibilities. Consider the reasons for and against a rally from here as listed in: 60 Reason Why Oil Investors Should Hang On from Zerohedge. My Opinion: We will see more currency devaluations, based on 100 years of history, and we will see central banks “doing something” to levitate the stock and bond markets, based on decades of history, and we will see bankers taking care of themselves and the political elite, based on thousands of years of history. Expect higher crude oil prices – eventually – and expect more currency devaluations and higher gold and silver prices in 2016 and 2017. Expect bankers and politicians to do what they do, and expect gold and silver to protect us from their machinations. If you are asking where silver prices are headed next, then just look at the demand for the precious metal. It makes a very strong bullish case for silver prices to be much higher by the end of 2016. Mainstream media will have you convinced that customers for the precious metal are not there and that’s precisely why silver prices are down and it’s not worth owning. Wrong! I certainly can’t deny that industrial demand for silver could be down, mainly due to the widespread slowdown in the global economy, and that major economic hubs. 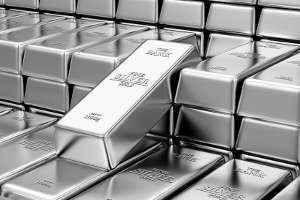 The post Report Accidentally Reveals Big Reason to Be Bullish on Silver Prices appeared first on Profit Confidential.